The V-Taw class canal boats. There is full central heating on the boat. A water tank provides the hot and cold running water. 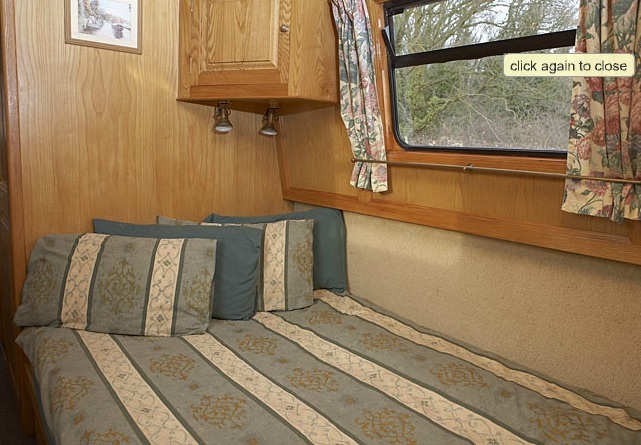 With a semi traditional stern, side hatch, â€˜roses and castlesâ€™ decorations and the highest calibre of furnishing, Taw is every bit as luxurious as a superior quality private boat. 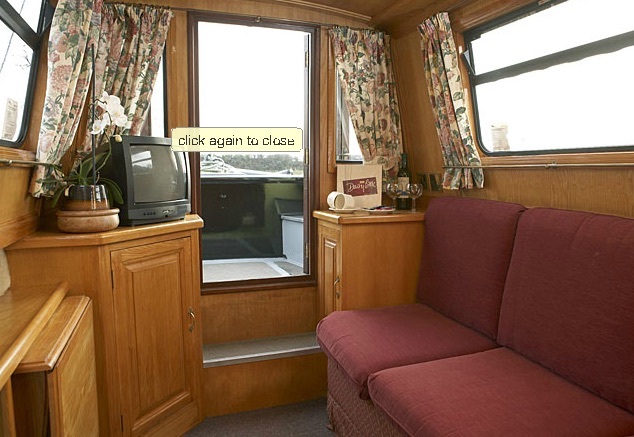 Cosy saloon area leading on to a roomy front deck with seating, The rear cabin can be a comfortable lounge with large settee and TV/DVD CD system. The Kitchen is fully equipped with full sized 4 burner gas cooker, grill and oven , 4 cubic foot Refrigerator, sink and drainer, saucepans, cooking utensils, crockery and cutlery for the number of berths. 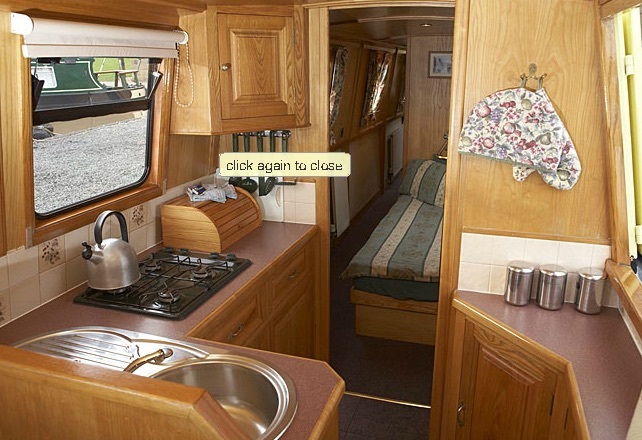 There is plenty of storage space, and work surfaces. Also supplied is a kettle.